This is my 40th year in the 49th state, a good time to reflect on what keeps so many of us physically and spiritually bound to this dynamic land. In spring 1978, along with millions of tired, hungry shorebirds from every continent, I arrived with a copy of John McPhee's "Coming into the Country," my first pair of hiking boots, and everything else I owned stuffed into two wheel-less suitcases. Bursting with anticipation to see tall mountains, and a Pennsylvanian by birth, I felt no remorse migrating from my temporary home on Florida's crowded, very flat west coast. The monotonous days of sub-tropical sun and heat, the remaining slivers of waterfront being paved over for more condominiums, the ongoing family tensions — it was, in short, an inner malaise and a touch of rebelliousness which drove me north to Alaska, for the chance to find myself. 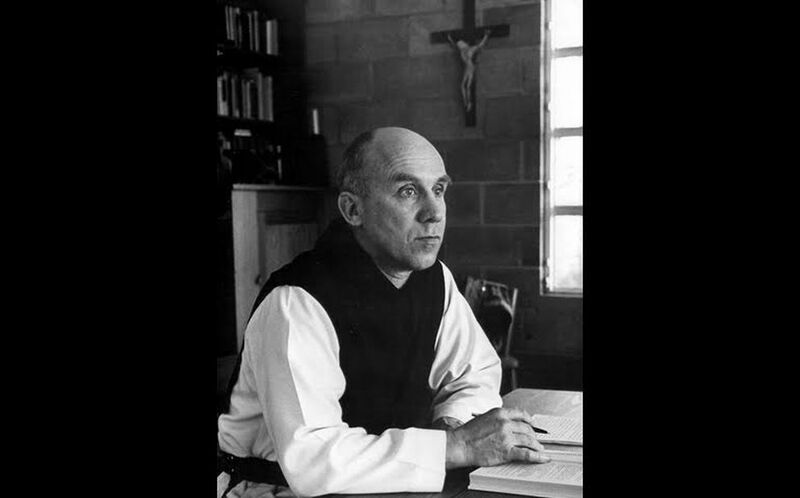 Fifty years ago this month, the most famous monk in American history, Thomas Merton (1915-1968), also bolted for the north, though it wasn't something he ever dreamed up himself. An unexpected opportunity arose to embark on a 17-day sojourn to the young, still mysterious state. Wisely, he seized it. Merton, a graduate of Columbia University, had lived as a Trappist monk — albeit a provocative and unconventional one — in rural Kentucky at the Our Lady of the Abbey of Gethsemani for 27 years. The Commonwealth of Kentucky was known for its green knobs and knolls, which the monk enjoyed, but its highest peak stood at about 4,500 feet and was far away and nowhere in sight of his monastery. As a bestselling author of 60 books, a compulsive journaler and a world-renowned spiritual thinker, Merton seemed to be recalibrating his interior life precisely when the invitation to speak to the "freezing faithful" of Alaska materialized from Archbishop Joseph T. Ryan. As Anchorage's first archbishop, Ryan was busy trying to establish the new archdiocese. Merton's charismatic presence would be a welcome boost. Through his Zen-like reflections on contemplation, a sense of place and the divinity of nature, Merton, in 1960s parlance, "turned on" many readers. His lyrical and powerful writings filled volumes — books that readers in secular and religious worlds held onto and cherished. Anchorage's second archbishop, the late Archbishop Francis T. Hurley, explained in an interview I conducted with him in 2007 that when he was a young seminarian, many considered Merton "the hottest thing around." The more conservative Catholics of the day found Merton's interfaith interests and explorations upsetting, and his anti-war verbalizing too "un-contemplative." Hurley also remembered Merton sometimes being described as "Father Malarkey Merton." Though celebrated as a gifted and powerful writer, by the time Merton got to Alaska, he hungered for fewer words. He'd been immersed in Zen Buddhism, as were many poets of the time. He tried practicing a more direct way of seeing and being in the world, to acquire wisdom not from theories, doctrines, legalisms and other abstractions, but to live more experientially. In Alaska, we call that survival. By 1968, the poet-monk was regarded as a "spiritual master," a label he always shunned. Rather, Merton humbly saw himself as a curious pilgrim who had much to learn from everybody else. What better place than the icebox of the Last Frontier, with its calving tidewater glaciers, its ample, towering mountain ranges and its inconceivable grand and vast scale to adjust one's outlook and sense of self-identity and importance? In the St. Elias/Fairweather range alone, 20 peaks reach above 11,000 feet. 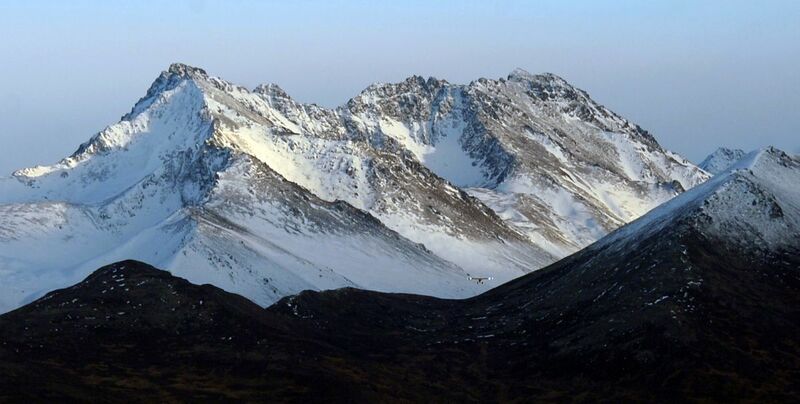 The highest and fourth-highest mountains in all of North America were in Alaska— Denali and Mount Saint Elias. Merton notes both on the pages of his working notebook. There were more square miles of silence here to last any hermit to judgment day, he wrote. Thomas Merton, aka Fr. 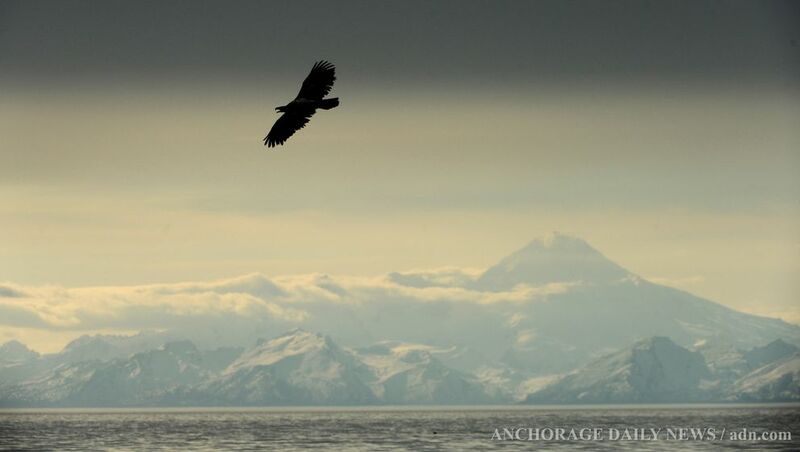 Louis, arrived in Anchorage, population around 45,000, on Sept. 17, 1968, when daylight was shrinking fast and most visitors had vanished to warmer climes. In that most violent and hostile year, a disillusioned American public struggled with the cultural and political carnage saturating the evening news. One tragic event after another struck. Violent protests over Vietnam. Assassinations. Riots. A kind of neurosis had set in as democratic ideals and values were being tested on every level. The country was spiraling into perplexing and troubling directions. Whatever center and foundation America proudly kept, it was now sliding down a dangerous cliff. The good-humored, workaholic monk, by this time something of a Catholic superstar, walked briefly without notice through the streets of Anchorage, relieved that the newly-established archdiocese kept his presence "below the radar screen." Under orders from his abbot, no public lectures or television cameras were permitted as he traveled by small plane to remote Alaskan places. The mood in the 49th state was practically the opposite in 1968. The latest economic news about the discovery of Prudhoe Bay oil was cause for much celebration, though the more jubilant atmosphere was soon tempered by critical public land issues begging resolution. Merton recognized the state's historical ties with Russia, but he disliked seeing evidence of the U.S. military's buildup in the Cold War. In the early 1960s, he wrote about the threat of nuclear war, but his Cold War writings were censored by his religious superiors and not publicly released until years after his death. Alaska impressed Merton. From his jet window, he made note: "Fine snow-covered mountains lift their knowledges into a gap of clouds and I am exhilarated with them. Salute the spirit dwellings. Spirit-liftings come up out of the invisible land." He marveled at the "snowy nails" of mountains, and the "beauty and terror" of Chugach mountaintops powdered with fresh, clean snows, and the "indescribable ice patterns." "The mountains are the finest I have seen anywhere. It is a GREAT land," he wrote. From the massive 1964 earthquake, he saw evidence of the huge lift of land, and everywhere he went during his intense itinerary, he tried snapping high-quality, 35-mm photos of mountains he saw such as Mount Redoubt, Mount Iliamna, Mount Drum, Mount Wrangell, Mount Augustine, and O'Malley Peak. It's interesting that over the course of his life, Merton's private journals do not reveal his ascent to ever-higher and assured stages of spiritual attainment. According to noted Merton scholar, Jonathan Montaldo, Merton's journals instead reveal the monk's gradual descent into "a spiritual poverty." Merton's interior journey was often one of struggling, stumbling, faltering forward. He was not the monk who had fully arrived, Montaldo believes. He claimed to be nobody's answer to anything. Thomas Merton preferred authentic dialogues between different peace activists, philosophers, South American poets, existentialist writers, and Russian theologians, to any dualistic, narrow-minded, "toe the party line" arguments. He reached across religious aisles with his ecumenical, open-mindedness. To his Alaskan listeners, Merton willingly admitted to his complex, self-contradictory temperament. In the retreat talks he gave to priests and nuns, Merton called himself a "personalist." He reminded local "Catlicks" that it was important to be in touch with the depths of one's inner being. By calling himself a personalist, he was someone who firmly believed people should be people and remain true to themselves, and not be ordered, directed, alienated, oppressed, and defined by others. Or, for that matter, swallowed up like slaves or automatons in a dehumanizing political or economic system. Merton was also concerned about the dominating forces of technology that he felt were destroying our basic humanity. What would this astute social critic say about today's pervasive media intrusions and distractions? Had he lived long enough in the north, would he have reminded us to head into the mountains to combat the droning assault of lies, and to restore our need for solitude, solace and silence? Would he choose to quietly and passively read about the country's current divisiveness, or would he offer some well-reasoned, thoughtful and balanced responses in a more public way? Perhaps the bigger story surrounding Merton's motivation for visiting the 49th state was not to keep on talking and commenting, but to quiet down. One of his greater, yet unfulfilled desires, was to seek a location where he could one day try and live as an outright hermit. He lamented that he needed deeper solitude, more simplicity. For the last few years of his life, he lived in a private, cinderblock hut one mile from the monastery's main grounds where fans and visitors could track him down. In the Last Frontier, if a suitable location were to be found, he could live more akin to a northern Desert Father under glacier-filled mountains. Had he lived long enough to return to this alpine sanctuary — and I certainly believe he would have come back — the challenges and extremes of Alaska might have been a real test of faith. Though a down-to-earth man in many ways, the energetic monk had never actually experienced real wilderness. He enthusiastically scouted remote parts of Alaska for potential hermitage sites, perhaps a bit naively. He liked the Eyak Lake area in Cordova and said that Lake Aleknagik near Dillingham "speaks to me," though it reminded him of Siberia. But truth was, he had not wandered alone anywhere near brown bears, lived off a road system, depended on Bush planes to deliver precious supplies, dealt with raging avalanches and permafrost, nor relied on firearms, traps and fishing nets to help him subsist on whatever Mother Nature graciously provided. Doubtful he hoarded any rolls of duct tape. Throughout the 1960s, however, he had grown more ecologically aware, and became more fully awake to his immediate Kentucky surroundings — to bobwhites and tanagers, mice and frogs — to the hidden wholeness and unity found in the woods and meadows. His ecological consciousness further deepened through the writings of Aldo Leopold, Roderick Nash, John Muir, and from his correspondence with Rachel Carson. And in the corpus of his journals, he referenced nature, often lyrically, an estimated 1,800 times, as another scholar calculated. But his dilemma? Even as a praying monk in a small hut, he felt access to purifying solitude was harder and harder to find. Being a religious celebrity with his own literary agent, teaching, being an important revenue provider for the Abbey — the intellectual overload took its psychic toll. In 1968, he longed to satisfy an inner restlessness, to explore what was out there beyond the status quo in his too-frenzied existence. After 17 days of "running around Alaska wildly," as he aptly put it, having concluded his eight eloquent conferences, and completed all his quick visits to Eagle River, Dillingham, Cordova, Juneau and Yakutat, Merton next ventured back to northern California for a few days before taking his big leap into the unknown across the Pacific to Asia to learn all he could from those far-out Buddhists. It was a leap that would lead to his accidental death in Bangkok a mere two months after his Alaska journey. 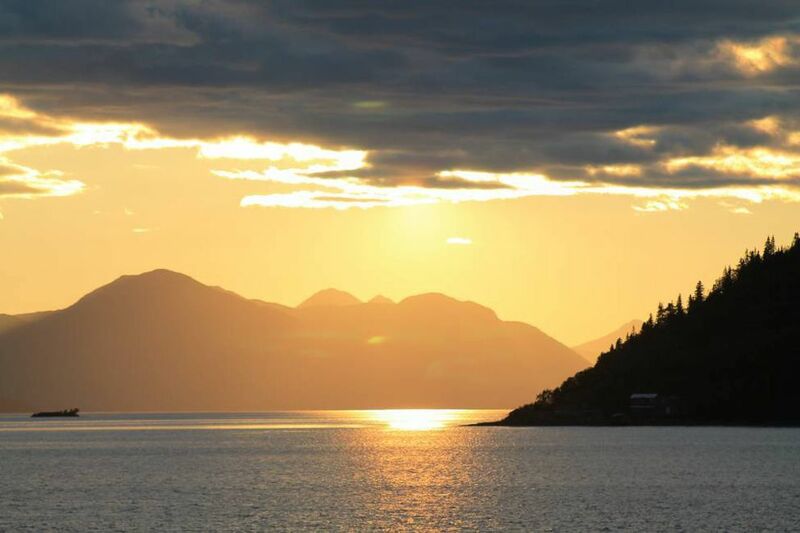 Alaska's spiritual well runs deep, something that Merton immediately sensed. The Great Land teaches transformative lessons, from cheechakos who flee the congested flatlands of Florida, to monks on the run from the Bluegrass State. Spending time in mountainous solitude will teach you what the grind of daily existence often prevents. Only by treading across those undefined rocky trails within can we try and silence the chaos blaring outside. Kathleen Witkowska Tarr lives in Anchorage, serves on the board of the Alaska Humanities Forum and is the author of "We Are All Poets Here." A conference on "Thomas Merton in Alaska" will be held in Anchorage on Sept. 28-29. Kathleen Tarr is a long-time Alaskan and writer, and the former program coordinator of the MFA creative writing program at UAA.